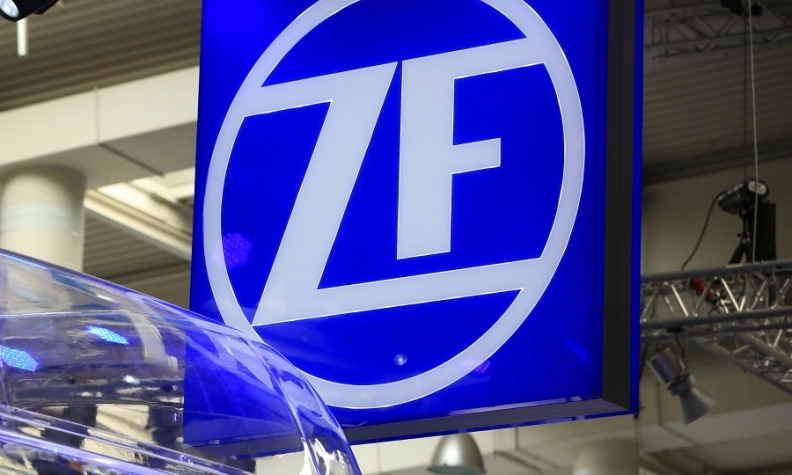 ZF Friedrichshafen is moving on after its failed attempt to take over brake manufacturer Haldex. 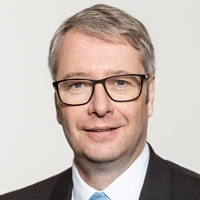 ZF's plans now include greater involvement in electronic-braking technologies and developing new customer groups using ZF's e-platform concept, CEO Stefan Sommer told Automobilwoche, a sibling publication of Automotive News Europe. What are your goals after the failed attempt to buy Haldex? Our goal is still to fully establish ourselves in braking technology. We still have a gap in the commercial vehicles area. But now we will likely move into the new brake-by-wire technologies and focus on segments such as electrified distribution transport and urban buses. There we will have a stronger technology transfer from the passenger car world. Can your portfolio from the passenger car field be transferred to other areas? In the development of passenger car applications, we are now moving to an emphasis on sub-functions and autonomous driving. We are applying radar sensors, cameras and telematics systems such as our telematics platform Openmatics, to establish autonomous driving functions in farming and construction equipment as well. We are proceeding similarly in commercial vehicles. For example, we want to develop one of our factories into a pilot plant for automated commercial vehicle transport within the factory. We are seeing strong interest from customers in these applications. They are commercially attractive. You are working with Nvidia to produce a self-learning, central computing center for vehicles. Doesn’t it put chips from your partnership with Mobileye out of the game if object recognition takes place in the control system ZF Pro AI? Certainly not. Mobileye will remain a key ZF partner. ZF Pro AI processes data from different sensors, for example, radar, lidar or camera data. Object recognition and image processing occur as they have in the past, in the camera's EyeQ chip and then is then consolidated and analyzed in the ZF Pro AI with all the other data from the environment recognition system. Sommer wants to develop new customer groups in addition to vehicle manufacturers. You presented in Detroit last month a platform concept for electric urban vehicles, in the form of the Intelligent Rolling Chassis. When will it be ready for regular production? We can basically get going immediately. But when we talk about concepts for these classes of vehicles, we are not talking about the usual car production processes. We are already prepared for regular production insofar as a great deal of conventional technology is built into the platform concept, for example, brakes or active shock absorbers. In a people mover, the homologation phases are shorter than they are for conventional cars, so these vehicles can go into regular production more quickly. Are there customers for it? We are in discussions but we cannot be more specific than that right now. In any case, this enables us to develop new customer groups in addition to vehicle manufacturers. With its philosophy of “See-Think-Act,” ZF is active in the entire functional chain, from sensors to system intelligence all the way to actuator systems. Where do you still need to accelerate your efforts? Is your supplier structure right for forward-looking fields such as electric mobility? Yes, it is still a good fit. Don’t forget that the leading areas of our business are still in the conventional, mechanical field. Depending on the role that they play, we naturally expect our suppliers to bring intelligence and the capacity for networking into their products. Our clear business goal is to continue to supply mechanical systems, although they will be networked and intelligent. You are calling on your German facilities to boost their performance. How far along are you in this area? We have reached agreements geared to growth, job security and greater competitiveness with nearly all our German facilities. That is an overall package that extends across many facilities, and it is already bearing fruit. At our Schweinfurt plant, we have implemented structures for adjustable shock absorbers that have had a positive impact on costs. We have been awarded orders that we would not have otherwise won without an improved cost structure. Where are you on your integration process with TRW Automotive? We are right on course in the integration of TRW. We do not want to accelerate the integration since we want to handle individual projects carefully. Here care comes before speed. But we have already carried out the major architecture for integration. After all, we didn’t just begin the integration with the acquisition a year and a half ago. We had charted the key markers for our course months earlier.